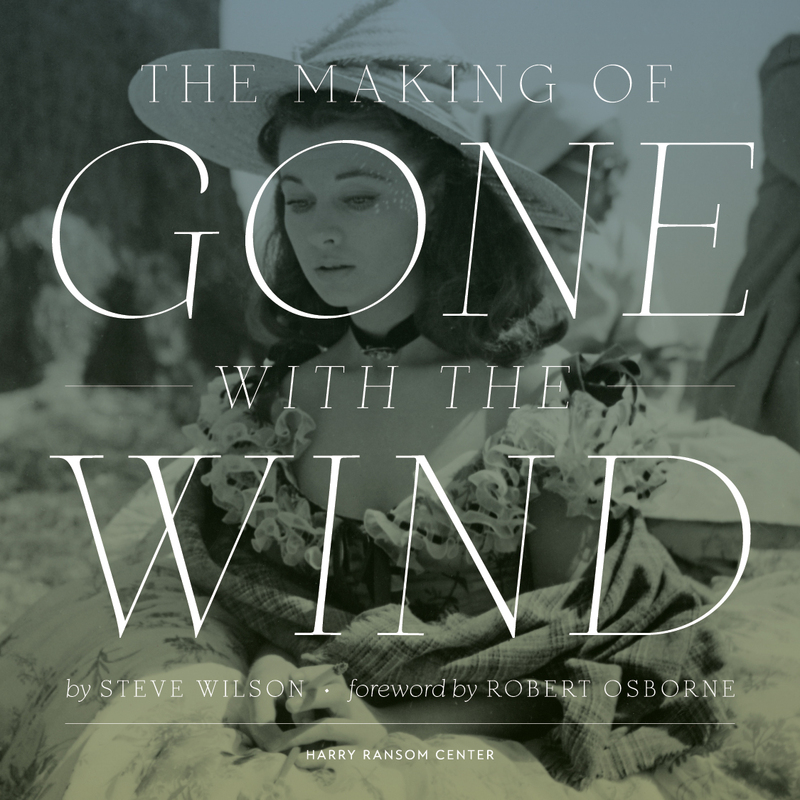 A fully illustrated catalog by Ransom Center Curator of Film Steve Wilson has been co-published by the Ransom Center and University of Texas Press to complement the exhibition The Making of Gone With The Wind. Featuring more than 600 images from the Ransom Center’s archives of David O. Selznick, the film’s producer, and his business partner John Hay “Jock” Whitney, The Making of Gone With The Wind offers fans and film historians alike a must-have behind-the-camera view of the production of this classic film. Read the foreword of the book by Robert Osborne, film historian and host of Turner Classic Movies (TCM), where he notes that Gone With The Wind was the first film aired when TCM launched in 1994. Join the conversation about the exhibition online with the hashtag #makinggwtw. Stay up to date with the Harry Ransom Center’s latest news and information with eNews, the Center’s monthly email newsletter. Subscribe today. 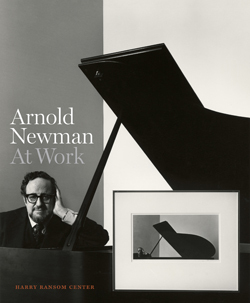 Cover of "Arnold Newman: At Work" by Roy Flukinger. In conjunction with the exhibition Arnold Newman: Masterclass, University of Texas Press and the Ransom Center have published Arnold Newman: At Work by Ransom Center Senior Research Curator of Photography Roy Flukinger. Featuring an introductory essay by photo historian Marianne Fulton, the illustrated volume includes Newman’s iconic images alongside his contact sheets, Polaroids, and work prints complete with handwritten notes and marginalia. Providing a contextual overview of the Ransom Center’s Newman archive, the book reveals insights into Newman’s process. The book also includes Newman’s lesser known collages, commercial work, and cityscapes. Drawing extensively from the Ransom Center’s Newman archive, the book is a rich collection of materials ranging from personal documents—such as Augusta and Arnold Newman’s holiday cards, travel ledgers, and copies of passports and pocketbooks—to some of Newman’s most iconic images. Readers can track the creative process from contact sheets with the photographer’s notes and cropping instructions to the eventual final selection and enlargement. For Newman, a single session with the sitter was only the beginning of the creative process. 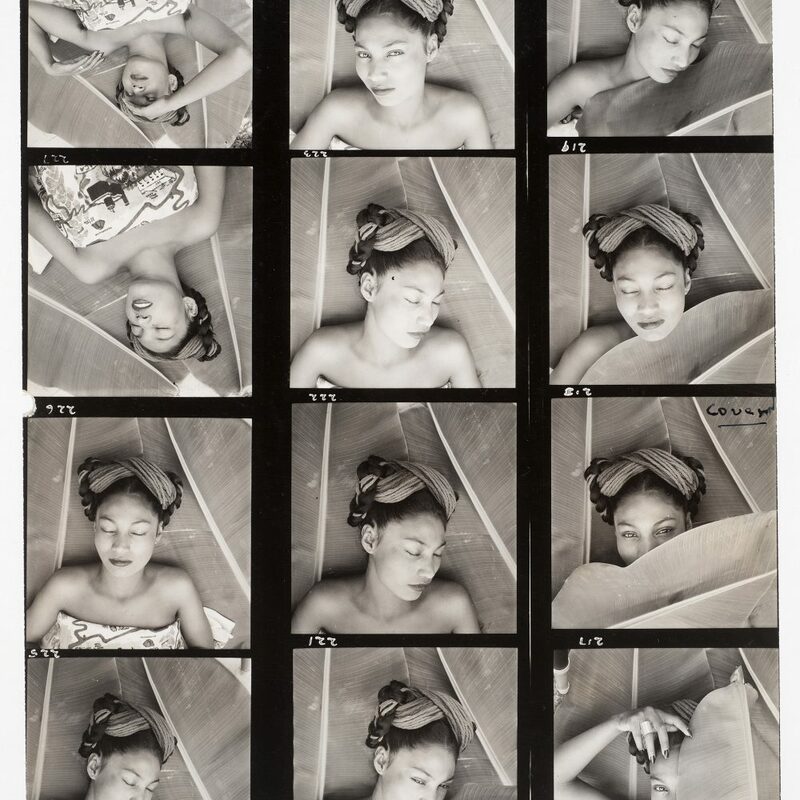 Newman’s attentive markups and anecdotes litter the edges of countless contact sheets, and work prints from a portrait sitting allow readers to see how Newman approached his subject and found ways to reveal his or her character. Newman would take 10, 20, 30 and in some cases more than 50 individual photographs of a sitter, making minor adjustments each time. Though highly significant, the differences between the frames are often miniscule, but the variation in their impact can be dramatic. The Center’s Newman archive contains all of Newman’s negatives, slides and color transparencies, all of his original contact sheets, and more than two thousand prints, including examples of color and collage work. The collection also includes Newman’s original sittings books, correspondence and business files, early sketchbooks and photographic albums. Read an excerpt from Marianne Fulton’s introduction to the book, which is available for purchase in the Ransom Center’s online store or at the visitors desk during gallery hours. Arnold Newman: Masterclass runs through May 12. Jessica S. McDonald, the Ransom Center’s Nancy Inman and Marlene Nathan Meyerson Curator of Photography, edited the anthology, which provided the first comprehensive overview of Lyons’s career as one of the most important voices in American photography. In anticipation of Lyons’s November 8, 2012, visit to the Ransom Center, McDonald shared insight about the photographer, curator, and educator. 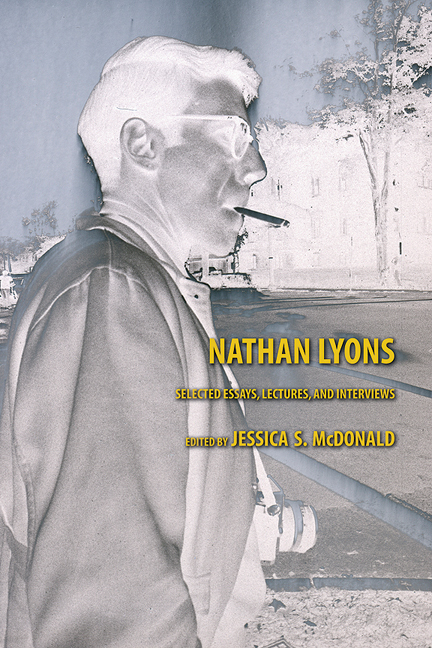 Nathan Lyons: Selected Essays, Lectures, and Interviews is available online through University of Texas Press. Special offer celebrates recognition of "The Gernsheim Collection"
Just last week, The Gernsheim Collection, co-published by the Harry Ransom Center and the University of Texas Press, received an Alfred H. Barr Jr. Award, which honors a distinguished catalog in the history of art published during the past year. To celebrate this recognition, the Ransom Center is offering editor-signed copies of The Gernsheim Collection at a reduced price of $60 through March 15. Orders placed by this date will also include a set of five notecards featuring images from the Gernsheim collection. Edited by Ransom Center Senior Research Curator Roy Flukinger, The Gernsheim Collection coincided with the Ransom Center’s 2010 exhibition Discovering the Language of Photography: The Gernsheim Collection, which explored the history of photography through the Center’s foundational photography collection. The Gernsheim collection is widely considered one of the most important collections of photography in the world. Amassed by the renowned husband-and-wife team of Helmut and Alison Gernsheim between 1945 and 1963, it contains an unparalleled range of images, beginning with the world’s earliest-known photograph from nature, made by Joseph Nicéphore Niépce in 1826. The book includes more than 125 full-page plates of images from the collection accompanied by descriptions of each image’s place in the evolution of photography and within the collection. The offer is available online and in person at the visitor’s desk in the Ransom Center’s lobby through Thursday, March 15. The publication of The Gernsheim Collection was made possible by the generous support of Janet and Jack Roberts, Jeanne and Van Hoisington, Margaret Hight, William Russell Young III, and the Hite Foundation in memory of Sybil E. Hite.